Illumina said it will provide a new high-density genotyping array at no charge to the NIH’s All of Us Research Program. The sequencing giant’s Infinium Global Diversity Array will enable the processing of up to 1 million samples by the three genome centers that were awarded a total $28.6 million from All of Us in September, Illumina said. All of Us is the research cohort piece of the Precision Medicine Initiative (PMI) designed to glean health and wellness data from 1 million or more Americans. “This contribution to the selected All of Us Genome Centers will allow the program to accelerate the unprecedented effort to complete genotyping and sequencing for all 1 million or more people who participate in the program,” NIH Director Francis S. Collins, MD, PhD, said in a statement. The new array will be a high-density chip that according to Illumina has been designed to enable achievement of the primary genotyping-based goals of the project. Those goals include unparalleled coverage of a highly diverse cohort and the ability to return results to participants such as those indicated by the American College of Medical Genetics and Genomics’ ACMG-59 Gene List—the set of 59 genes known to be associated with risk of diseases amenable to prevention or early diagnosis—and key pharmacogenomic variants. Some of these genes are associated with potentially life-threatening health conditions, ranging from familial hypercholesterolemia, to breast and ovarian cancer. The array will become commercially available for others to use in mid-2019. 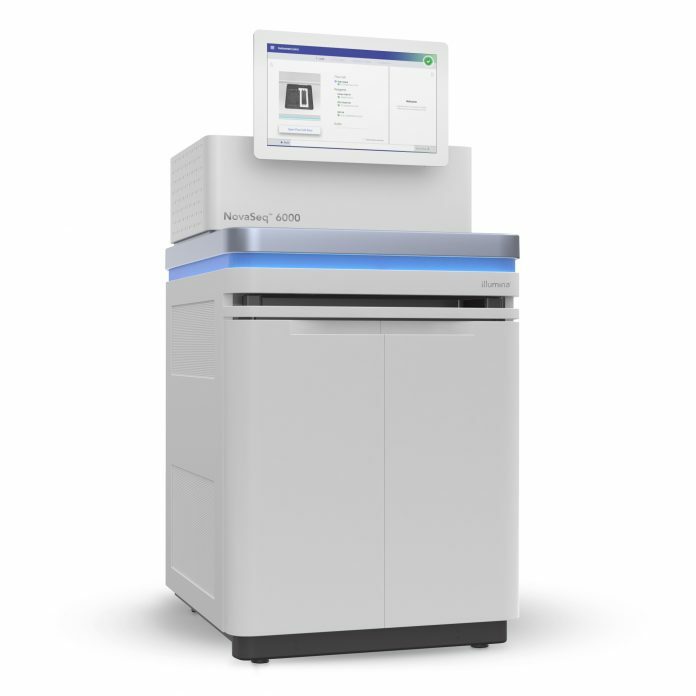 In addition to the new genotyping array, the genome centers will use Illumina’s NovaSeq 6000 Sequencing Platform to conduct whole genome sequencing for the All of Us Research Program. A partnership of Baylor College of Medicine, Johns Hopkins University, and The University of Texas Health Science Center at Houston (UTHealth). A partnership of The Broad Institute of MIT and Harvard, Color Genomics, and the Laboratory for Molecular Medicine at Partners HealthCare. The genome centers are expected to produce genome data for researchers, as well as analyze data for genetic results to be responsibly returned to participants who are interested in receiving them. The NIH has committed All of Us to becoming the nation’s largest and most diverse research cohort, with plans to “oversample” communities underrepresented in research in the past. “A core value of the All of Us Research Program is to reflect the rich diversity of the United States. Including people who have been underrepresented in biomedical research will help researchers understand existing health disparities and ensure that everyone can benefit from future breakthroughs,” added Eric Dishman, director of the All of Us Research Program.